Savage Garden var en australsk popduo, der havde stor international succes fra 1997 til 2001, hvor gruppen blev opløst. Bandet bestod af Darren Hayes (vokal) og Daniel Jones (keyboards og guitar). Savage Garden havde en stribe af hits i de sene 1990'ere. Balladen "Truly Madly Deeply" var deres største succes, mens de andre større hits tæller "To the Moon and Back", "I Knew I Loved You" og "I Want You". Gruppen har solgt omkring 35 mio. albums og singler. Navnet Savage Garden stammer fra Anne Rices romanserie The Vampire Chronicles. A ^ "I Want You" was re-released in the UK in 1998 as a remix entitled "I Want You '98" and reached number twelve. ^ McFarlane 'Savage Garden' entry. Hentet 26. september 2010. ^ a b Australian Charts > Savage Garden. australian-charts.com Hung Medien. Hentet 2008-05-18. ^ ARIA Report Issue 569. ^ (på french)French Charts > Savage Garden. lescharts.com Hung Medien. Hentet 2008-05-18. ^ (på german)Chartverfolgung / Savage Garden / Single. musicline.de PhonoNet. Hentet 2010-08-05. ^ Irish Charts > Savage Garden. Irish Recorded Music Association. Hentet 2010-08-05. ^ Hit Parade Italia - Indice per Interprete: S. Hit Parade Italia. Hentet 6. juli 2012. ^ New Zealand Charts > Savage Garden. charts.org.nz Hung Medien. Hentet 2008-05-18. ^ Swedish Charts > Savage Garden. swedishcharts.com Hung Medien. Hentet 2008-05-18. ^ a b UK Charts > Savage Garden. Official Charts Company. Hentet 2010-08-04. ^ Savage Garden > Charts & Awards > Billboard Singles. AllMusic. Macrovision. Hentet 2010-08-05. 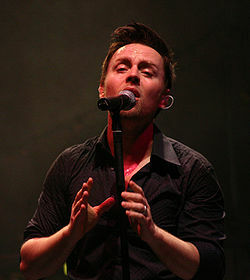 ^ a b c American certifications – Savage Garden. Recording Industry Association of America. Hentet 2010-08-05. ^ a b c ARIA Charts > Accreditations > 1997 Singles. Australian Recording Industry Association. Hentet 2008-05-12. ^ a b BPI Certified Awards. British Phonographic Industry. Hentet 2010-08-05. ^ a b ARIA Charts > Accreditations > 1999 Singles. Australian Recording Industry Association. Hentet 2008-05-12. ^ a b ARIA Charts > Accreditations > 2000 Singles. Australian Recording Industry Association. Hentet 2008-05-12. Denne side blev senest ændret den 2. juni 2017 kl. 10:48.